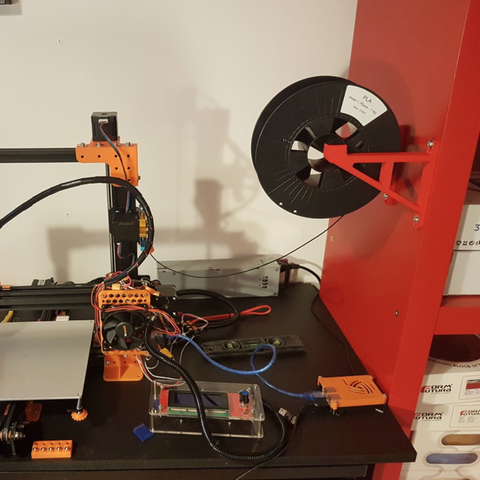 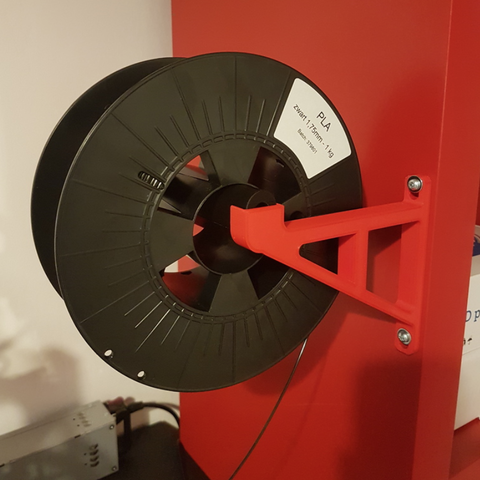 Here is a remix of philmcglass Wall Mounted Spool Holder. 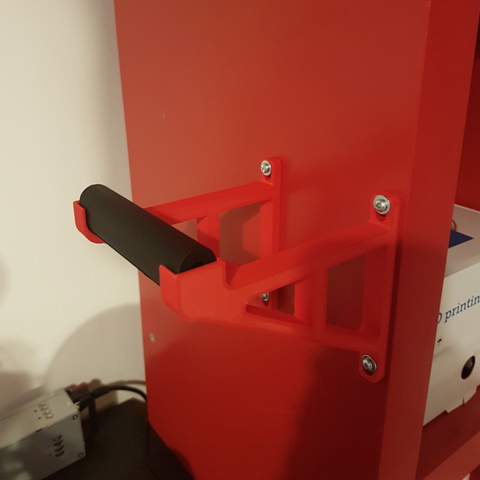 I just added an extra support on the wall mount to make it more solid and less flexible and I added a tube to replace the PVC pipe that goes in between the two sides. 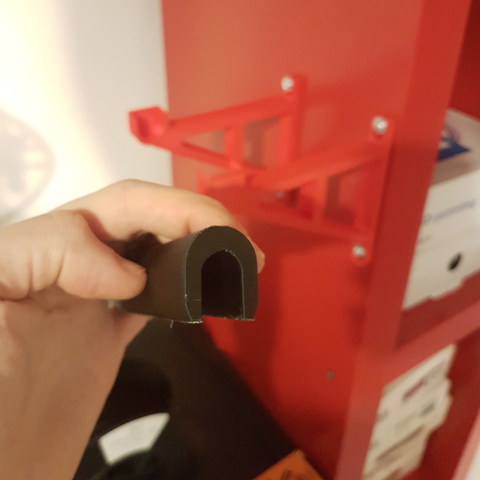 The screw holes are not perfect when printed without supports but I didn't care much about it, I just used washers.